Could you be the family Naomi the staffie is looking for? 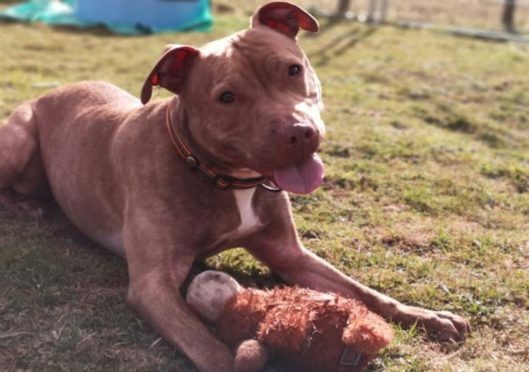 The Scottish SPCA has issued an appeal to find a new owner for a dog who has been a resident of theirs for 242 days. Naomi, a five-year-old Staffordshire bull terrier, is currently in the care of their Aberdeenshire rescue and rehoming centre at Drumoak. 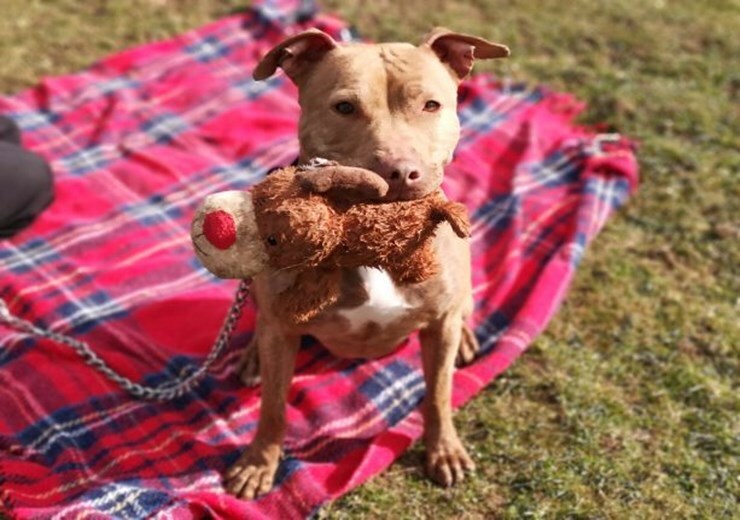 Graeme Innes, manager of the centre said, “Naomi is a fantastic Staffie who has unfortunately not had the best luck in finding her forever home. She is enjoying her time with her Scottish SPCA family but is ready to fly the nest and have a place she can call home. “When Naomi arrived in our care she was a bit shy and took a wee while to come out of her shell which makes how she is now even more special! You will be bonded for life once she lets you in. “Naomi enjoys the company of people more so than other animals and is often overlooked due to this fact. She has bloomed into a wonderful dog and would make a great addition to an experienced home that has all the time in the world to give her plenty of exercise and fun. “Her most favourite thing to do is to run around with her teddies in her mouth, occasionally coming back for a belly rub then repeating the whole process! “It’s great to see Naomi building up trust with people and things will need to be taken slowly in her new home to allow her the best possible chance to settle. If you’re interested in offering beautiful Naomi a home, please contact the centre in Aberdeen on 03000 999 999 to find out more.